A Content Provider is someone who supplies material produced by someone else to the final consumers of it. The term can be applied to an individual or an organization and in both cases they act as an intermediary between the original creators of the work and the people who view or read it. The simplest example of a pure content provider would be a cable television company like Virgin Media. They provide programs for subscribers to watch on their own fiber optic network but they don’t make the programs themselves. On the internet there are many platforms that act as content providers to the consumer with material that has either been created by the organizations themselves or purchased from other providers. News providers like the BBC, CNN and the Wall Street Journal are some of the largest content providers on the internet. They both create content by employing their own journalists and they act as consumers of other content providers by buying in stories from freelancers. Other platforms like Yahoo, Facebook, Twitter and Instagram can all be considered content providers because they are the websites that the consumer interacts with. Some businesses act as content providers to other businesses, Shutterstock for example has a huge database of photographs and images that they make available to publishers and website creators. Content provider deliver regularly new content for your website. 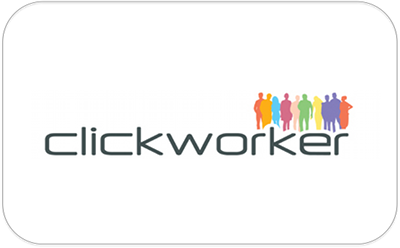 clickworker offers content production as well! Content providers are different to content creators or generators. Content creators are people such as writers, artists, photographers, musicians and filmmakers who produce the articles, pictures, videos and soundtracks for publication. A content provider is someone who takes material and prepares it for publication. This includes the editors and compilers of newspapers and magazine pages for printing and web developers who take the content and combine them into web pages for the World Wide Web. Book publishing companies were acting as content providers long before the development of the internet and they still are. Authors are their content creators and the people working for the publishers take the manuscripts and turn them into books. Record companies also have acted as content providers for musicians by recording their music and producing the discs, tapes and videos for distribution. Cinema chains could also be considered content providers because they show films to the general public but they don’t produce them. In each case the companies and the people working for them are providing the final link in the chain between the people who produced the original work and the people who buy it. The World Wide Web has disrupted many of the traditional relationships between content creators and providers by making it possible for the creators to be providers themselves. Authors now have the option to self-publish their books on Amazon for example rather than approaching a book publisher who may or may not choose to publish their work. YouTube is a platform that acts as a content provider to the people who watch the videos but the people who make the videos are acting as content providers to the public through YouTube. If someone posts their holiday snaps up on Facebook, Instagram or Twitter they are acting as content creators and providers making their photographs available to friends or followers to look at. Bloggers are another example of people acting both as creators and providers and so are the people who comment on them. The development of social media platforms has complicated the relationships between content creators, providers and consumers because we are now doing all three whenever we click or tap one of those little share buttons to create re-tweets, likes or plus ones.